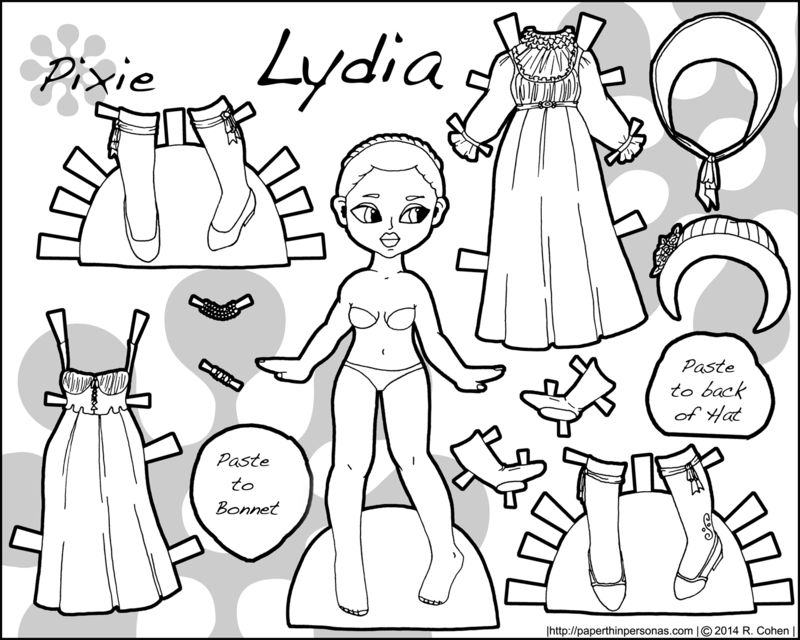 I am excited to introduce everyone to Latanya, the first Pixie paper doll of the New Year. I drew her last year, technically, but that’s not really so uncommon for me. 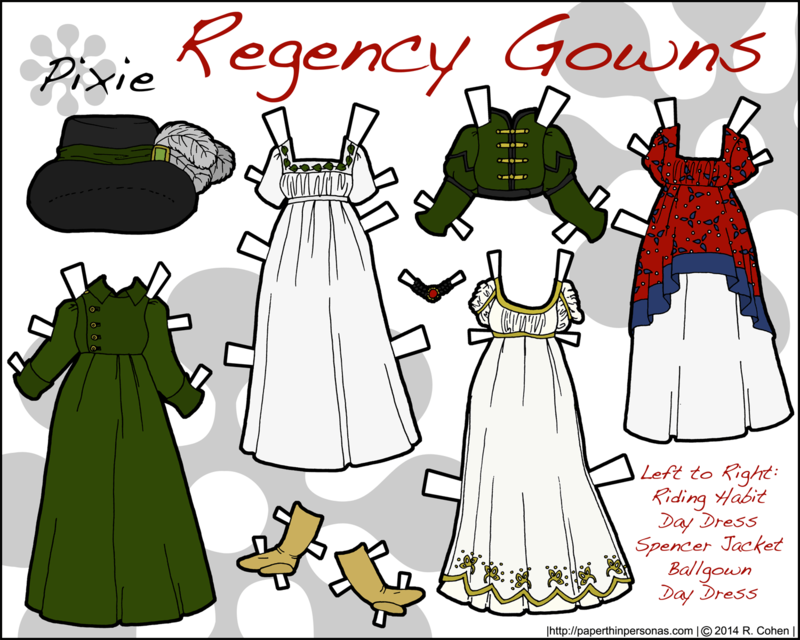 It can take months (years…) for a paper doll to move from my sketchbook onto my blog. 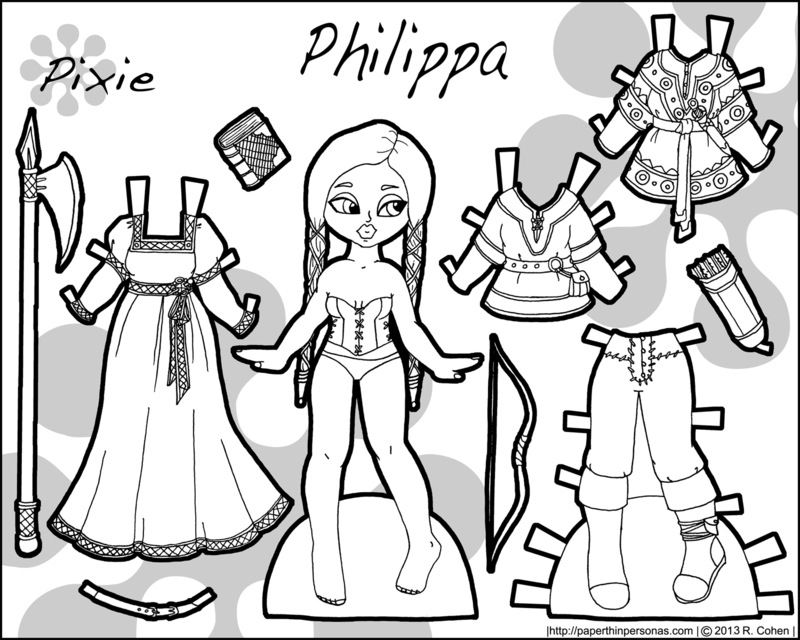 I’ve had a request to do a full paper doll tutorial which is a lovely idea, but considering how slow I am at getting things done… it might be a year before its finished. 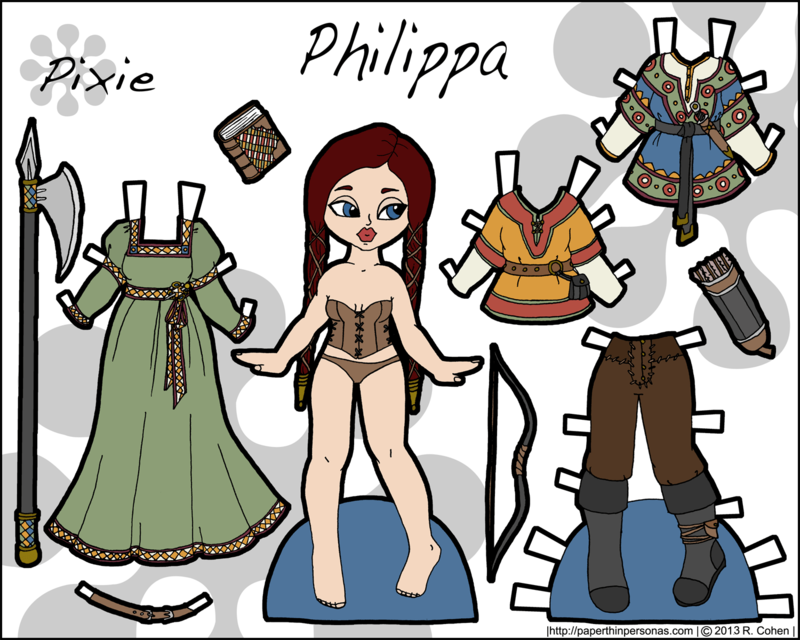 So, I wanted to do a fantasy paper doll with a autmunal color scheme. 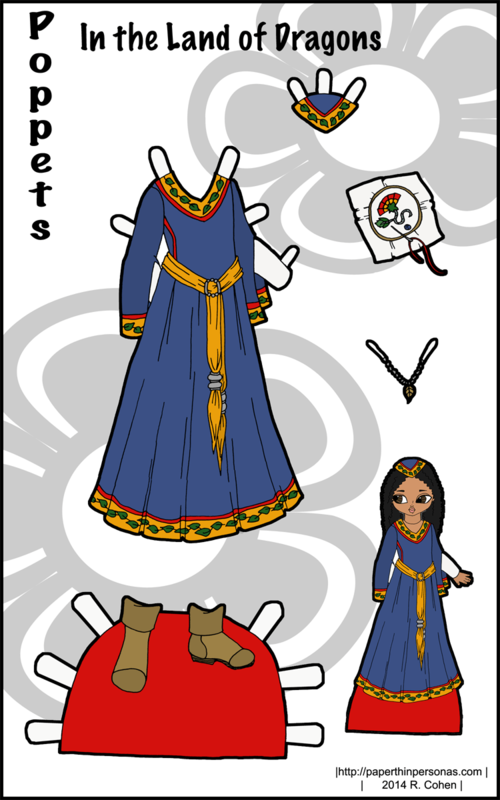 So we have Latanya rocking some darn lovely fantasy gowns and a little bit of armor. She’s apparently both a lover and a fighter. Her colors remind me of autumn leaves and crisp fall days. I am really adoring her curls and the pattern on her dress which I am very proud of. I am trying to draw more patterns. 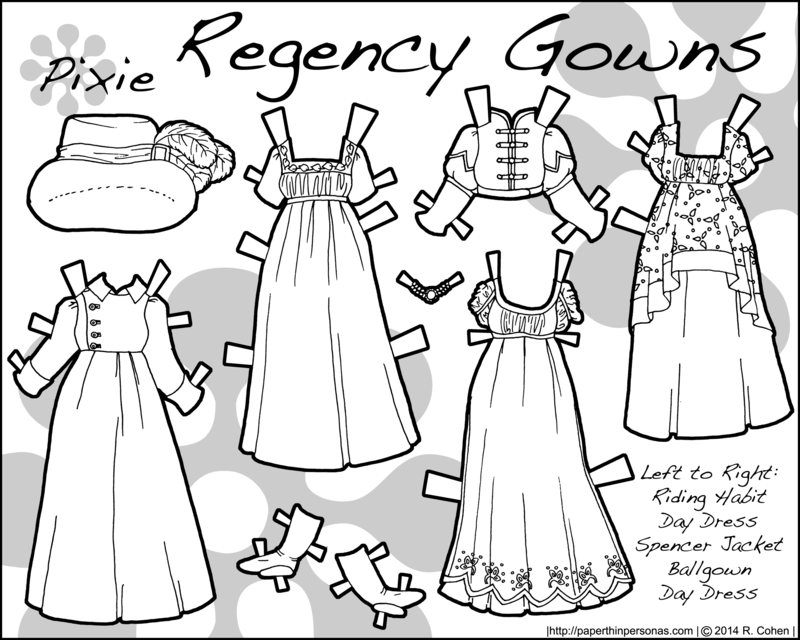 I say that every year… And every year, I usually end up chickening out because patterns take time and I am lazy. My Drawing/Contest closes tonight at midnight. So, if you haven’t entered and would like too, please do so today. I’ll contact/announce the winner tomorrow. 🙂 By the way, I haven’t responded to any of the answers, because I didn’t want to skew the results. I have read them all and I appreciate everyone’s honesty. Winner will be decided using a random number generator. 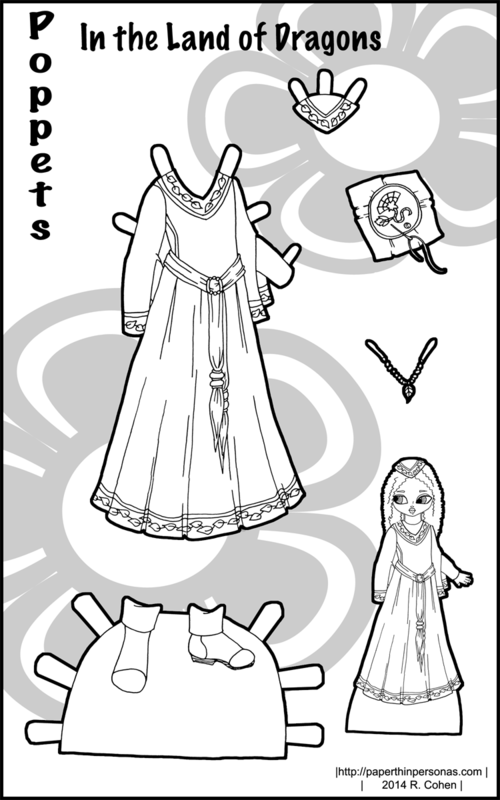 I was feeling abstract when I drew these paper dolls…. There was this girl in one of my classes last semester who had the most amazing hair. Every class she’d come in with it styled in a different way- sometimes it was in a huge afro and sometimes it was in tons of little braids and sometimes it was straightened and sometimes…. you get the idea. So, one day she came in with all the small braids coiled up into these huge pair of buns on either side of her head. The way the braids were wrapped around each other made it look like they were woven- almost like baskets. It was utterly beautiful. 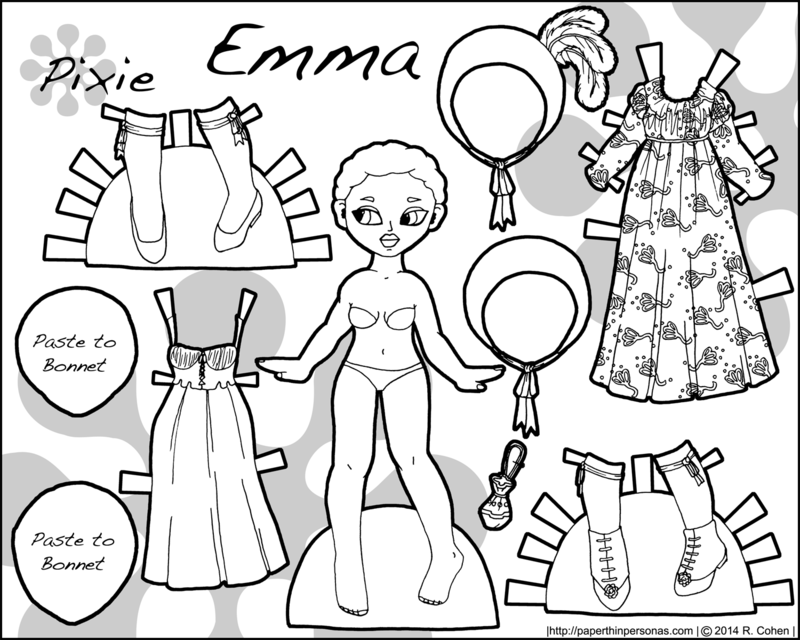 I wanted to try to draw that hair style for this paper doll. I don’t think I really captured it. Seriously though, I always wondered: How long did it take her in the morning to get ready? I’m lucky if I get my hair brushed and my clothing on.